Designed by Brooklyn-based Candylab Toys, Pioneer blends ‘60s American modernist design with a love of adventure. A perfect design for those who like to explore and to play creatively, at any age. 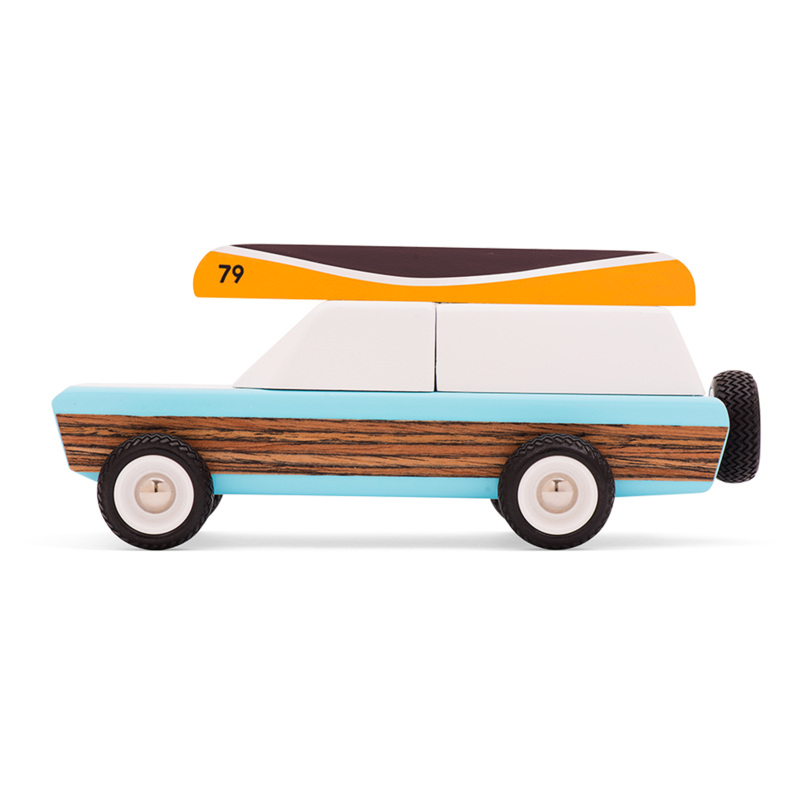 Beautifully crafted, the toy car features wooden sides and rubber tires. A light blue color adds a vibrant accent to the design and reminds of beach getaways. On the top, the canoe boasts a bright orange color and comes with a convenient magnet. Made of beech wood, Pioneer features a water-based paint and a clear urethane coating, while the food grade rubber tires come with white ABS plastic rims. A camper toy and other accessories which are compatible with this design are also available in our store. Body: Solid Beech wood, water based paint and clear urethane coat. Wheels: White ABS plastic rims, with food grade rubber tires. Gessato is an authorized retailer of Candylab Toys products. We purchase all of our Candylab Toys products directly from the company in order to bring you genuine items that represent the best in contemporary design. Every Candylab Toys product in the Gessato shop is authentic, comes with official brand packaging, manufacturer’s warranty (where applicable), and is sold with Candylab Toys's authorization.